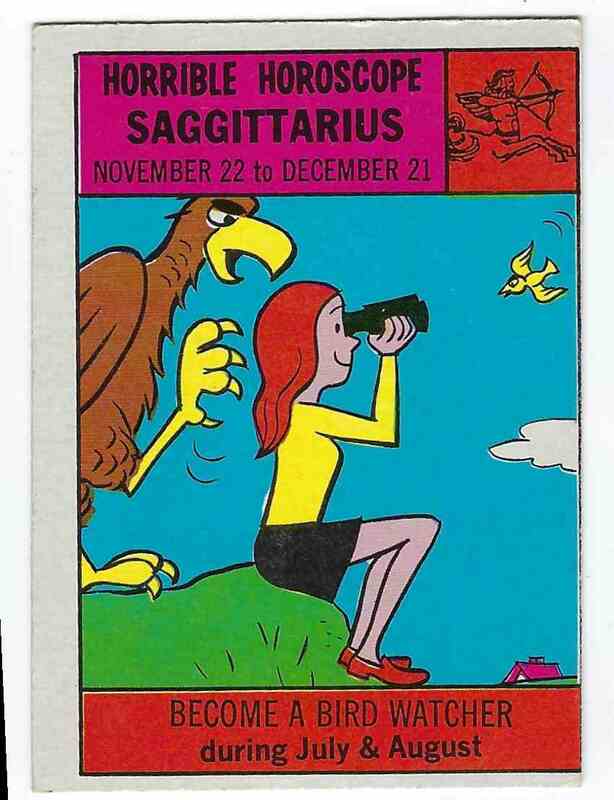 This is a trading card of Saggittarius - Become A Bird Watcher. 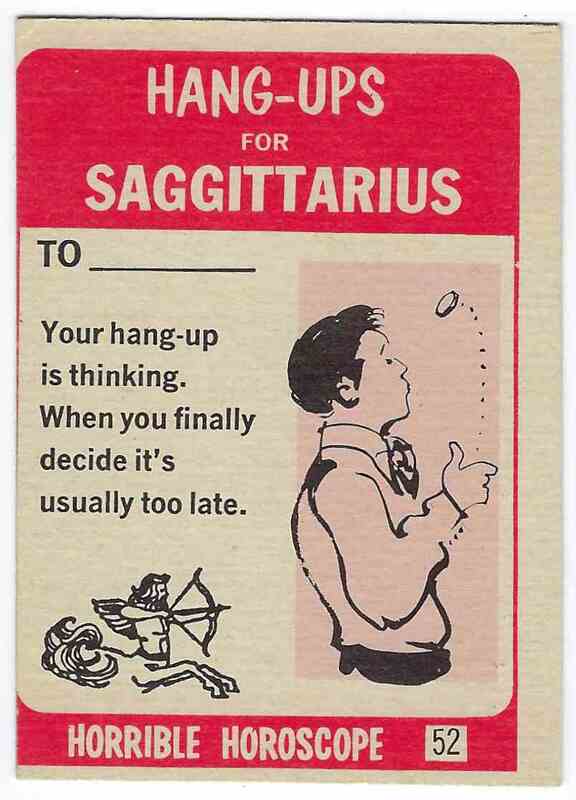 It comes from the 1972 Philly Gum Co. Horrible Horoscope set, card number 52. It is for sale at a price of $ .25.